Award Force is award-winning cloud software for leading contest organisers to manage awards entry and judging online. Designed for performance and function, its fast, secure and a great experience for entrants, judges, and contest managers. Upgrade to Award Force to: grow your awards; make judges happy; save time and money off less admin effort; discard stress; gain visibility and control; distinguish your contest with good design; and make your awards the best they can be. Award Force Reviews Recently Reviewed! Pros: The Award Force management and support teams were incredibly helpful during our entire selection process, set up phase and implementation. There was always someone available for answers, no matter that we are located in the US and their main office is in Australia. From our initial conversations as far as what was on our "must have" list and our "nice to have" list of features, AF was able to make a few small customizations to their program to give us 100% of the items on our "must have" list and 95% on our "nice to have" list of items. They appear to constantly have the customer as their #1 focus and even after we launched came back to us with an idea to use something in their existing platform in order to offer us a small work around to give us something that was on our "nice to have list" that would help our judging community. We've had nothing but positive reviews from our client base - from our entrants, to our judges and even our accountant who compiles the entrant scores. The system is incredibly secure, with various different user profiles that only gives them the access they require. Award Force even created two new user roles specifically for us based on our award program requirements and what our users needed to have access to in the system. I can't praise our implementation manager and the entire AF support team more as they were always available and never made it seem like even my dumbest question wasn't something they took seriously. Cons: There is very little that I don't like about Award Force. But if I had to pick one: since the system is used by multiple award program clients around the world there are a few small areas that don't quite give us exactly what we need and that weren't able to be changed for us. However, these are just a few small items and through conversations with our AF implementation manager we devised ways to get what we needed through small work arounds that didn't add any more time or effort to what we had done previously for these items. So in the end, even though there were a few small "cons" in AF, the amount of time that we save using Award Force verses what we used before, along with the amount of information that is now available to us where it wasn't before, far outweigh the small amount of cons in the system. A dream come true for Award Managers! Pros: Award Force is so easy to use, yet delivers a thoroughly comprehensive solution. The system is so clear, intuitive and logical it's an absolute pleasure to use. You can navigate your way around without ever getting lost or confused, everything is exactly where you'd expect to find it and you always feel completely in control. From the clean and clear layout you may initially be fooled into thinking it's not very sophisticated, but you'd be wrong. It delivers everything you need, and much much more, they've just worked very hard to make sure you don't have to. Whilst you have the ability to customise the site so you are able to reflect your brand and visual identity, you don't have to be a designer or web developer to understand it. I've never felt out of my depth configuring anything on Award Force and nothing has ever felt onerous, just simple and straightforward providing the result you were hoping for quickly and easily. The versatility of the system means I've never had to compromise and can have the exact set-up I want without it taking an age to change hundreds of settings, it just lets you choose exactly what you want then replicate it as many times as you wish. The extensive reference guides and online tutorials are an amazing resource, if you're unsure of anything you can have the answer within a few minutes - usually with a step by step guide! Cons: I have to confess that I have struggled with this question, but the ability to sort by all of the fields within a view would be helpful. It would also be helpful to be able to configure bespoke reports for export, but it's not exactly a chore to have everything exported and then just choose to keep the ones you want. The things I've mentioned above may well be possible, I'm by no means an expert on every aspect of the system and I find new features and options every week! Overall: When we realised we needed to up our game with online entries for our Awards we researched every product on the market. The investment was quite significant for our annual not-for-profit Awards so we needed to ensure we made the right decision - and we now know we did! The system is so intuitive, logical and easy to use that I have been very self sufficient since my introduction session. When I have a query or start working on a new stage of the Awards the online training and extensive reference guides have been invaluable resource to find the answer within minutes. I've only had to submit two helpdesk tickets and both have been responded to and resolved incredibly quickly. The thing I really love about Award Force is that I'll get an email just to check how thing are going through the various stages of the Awards, reminding me that support is always there if and when I need it - it's like having an Award Force guardian angel! Our entire experience has been amazing, from the initial enquiry through system set-up, entries and judging, every aspect has been smooth, seamless and stress free. Award Force and the team behind it have exceeded all my expectations. Thank you! Recommendations to other buyers: If you're an Awards Manager that's short on time yet want to increase entries and provide your entrants and judges with a fantastic online Awards entry/judging experience, speak to Award Force. When you've taken the leap, spend time talking to the Award Force team. When they offer a catch-up call, make time in your diary (they're always flexible!) and do it. They have so much knowledge and advice which they are always happy to share. You can learn a lot from them not only about the software by how to improve your awards - always remember that you're just one of their clients and there may be an alternative way of doing something that could deliver real benefits for you. They're also fantastic at the really quick 'top tips' that you always get from people who know a piece of software inside out. Their knowledge of Awards, not just Award Force, is extensive - it's a very valuable resource you should make the most of! Wow, thank you for such wonderful feedback, Ped. We'll do our best to keep helping and to keep innovating! Award Force helped our program become completely digital. The entire process worked so well. Pros: The ease of use on the user and the administrator ends was great. The administration learning process was not complex and Award Force staff took the time to train us. The entry process for the users worked so well. It was simple! The part that sold our organization was the wrap-up portion. We didn't have to do much of anything and the program did it for us. Our members could login and see the winners' entries. This saved our admins a ton of time compiling award winners and sending them out to everyone. That was an amazing process! I would definitely recommend this, and have, to other organizations if they want to go all digital and have a simple back-end process to administer, and help the users get their information entered and then received quickly. Cons: Like any software, you have to learn it. It takes a little time at first to learn, but once you do, it is not hard to utilize. The Award Force team was very helpful through that process, though. There are some unique ways to find information within the software, so it just takes working with it to gain an understanding. The payment system was something that we had to inform our membership of, since this software is based in Australia, when using an United States credit card, it is best to charge all entries at one time and not individually, as they card will question foreign purchases and possibly shut the card off temporarily. This happened to us, but once we realized why, we explained it to the membership and then it worked fine. Overall: Ease of time on the administrators end. Ease of use and uploading ability to make all things electronic on the users end. Wrap up after the award process was so simple! That was the best part. Even though there is a cost that we didn't have before, our organization found that the benefits outweighed the costs. We needed to be all electronic and needed to alleviate the time component from the administrators, who are all volunteers. This program did that for us. Award Force is by far the best awards and judging platform I have used. Once you understand it and how the modules integrate with each other, it is ridiculously smooth and easy to use. Only the other day, I set up my next season. The longest part was inputting the name. Adding entries is quick and smooth. Modifying or cloning takes seconds. The judging platform is very comprehensive and the platform as a whole is designed with the end user in mind. It will be two years since we signed up to Award Force in January and we have no intention of changing. It has made my job easier and freed my time up to grow my role and support my team elsewhere. Moreover, our entrants and judges regularly compliment us on choosing Award Force. Pros: The software can be customised to suite various award types as a result is versatile. It's certainly great for awards programs with multiple awards under different categories. It is easy to use and modify even after set up. Good reporting capabilities and great dashboard. Many options for judging of awards and can include different rounds as well. Good branding opportunities within the system, whether it be for your own awards program or your sponsors & partners. From the research I have done this system is the best and is priced well. The level of support available is great whether and you get to speak to a real person, from initial set and an ongoing basis. Many others don't offer this level of support. Cons: There really isn't anything I don;t like about it. It more than suits my needs. Overall: Award Force for me is the complete package, ease of is second to none and the options available within the system will cater for awards small or large, simple or complicated. Level of support is brilliant with personal service and quick turnaround. Which is a must for Award event & program managers. Wow, thanks Chris! The team really appreciated your positive words. We promise to continue to deliver on the value and support you've come to expect from Award Force. Amazing and professional, with great support team. Pros: For our Biennial of Slovenian Design we needed an intuitive and adjustable system. We were hoping to make administrative processes more efficient. After a detailed e-call, we were confident that we will be working with professionals who understand their clients. They translated the system in our language: it has only 2 mill. users, and has characteristics that are hard to work into english-based interfaces. While setting up, we were met with a lot of help from our producer. We encountered a problem: in the EU, it is required to add VAT info on invoice. AF did not have that option. After contacting them, VAT was implemented for us and other users also. We are strict about our image, so the implementation of our visual identity was a must for us. Designers branded it the way they liked it. The base is clean and leaves enough room to make it your own. Our administrators were very happy with the experience, as it significantly lessened the workload and kept our costs down. Our users were very excited to use AF. We are confident that their efficient system brought in more entries than we expected. We are very much looking forward to working with them in the years ahead and would wholeheartedly recommend the system to anyone looking for solutions to dealing with user entries at any scale. We were very glad that our Biennial, which is quite small in comparison with their other clients, received a thoroughly professional and attentive approach from their excellent team. Cons: Some specific features didn't have a lot of flexibility but we managed to go around it with their help. Overall: More entries than expected and we saved a lot of administrative fees. Their support team is very helpful and fast in responding, which was a big plus for us. 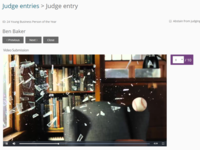 Pros: Having previously run our annual awards program via submission of hard copy entries from entrants in 2017 we moved to use Award Force software - allowing us to build a custom online platform via which entrants could submit their entry portfolios, and we could easily manage the process from the back end/administrative end of the entry portal. A seamless operation - and very easy to use - allowing us to monitor rate of entry, auto respond to entrants, and obviously the great benefit of being able to digitally store a huge amount of data/info instead of our previous headache of having excessive paper copies. The software has been exceptional value for money. Award Force provided excellent upfront training in how best to use the software and also provided an excellent back up service for any small glitches that might arise in initial use. All in all it has been a fantastic purchase for our organisation and one which we wish we had probably made a number of years ago! Highly recommended. Overall: Use of this software has greatly eased our administrative processes in managing our annual awards program. It has greatly improved the entry process for entrants. Cons: I do find it frustrating that specific features are not present in the software. Like not having a report of notifications, being able to copy anyone into notifications, to contact collaborators in an application, not being able to use the fields in all areas of the application. The review flow is quite challenging to set up and impossible to visualize quickly, it would be nice to have a way of merely imagining which applications are where Also setting up judging is a bit tricky too, and it is hard to see if it has been set up accurately. I would also like to get a general update on what you have designed regarding feature updates. I have also previously sent some feature ideas to the support team. It would be nice to see some of these administered. Thanks so much for the feedback Charles. Rest assured that we keep track of all feature requests and feedback and incorporate that into our plans. For interest, we do 5-10 deployments per week with improvements and new features - there's always lots coming through and we're about to start a regular news feed on those - coming your way soon! Please always feel free to speak with our team about any uncertainties or needs - they'll be only too happy to help. Pros: AwardForce is very easy to use and means we can send one link out to hundreds of judges to get the best quality judging we need. The support team are super useful and always reply in good time, there have been times where we need something done urgently and they are very quick to get back to us with a solution. It's easy to download data and keep a record of how we are doing year on year. Cons: It would be good if you could view more on the page at one time, for example filter some of the options when viewing entries like you can in excel but in the site. Overall: AwardForce has saved us a lot of time and means we can manage everything to with awards in one site. It's easy to pass on logon details to external judges who may be judging from afar and makes everyone feel as if they are on an important panel even being miles away. Pros: Flexible for different needs, easy to use, professional look and feel. Cons: Not being able to run multiple programs at the same time - we would love to use it for our other Prize programs! Overall: Our organisation hosts an extremely complex hierarchical awards program with multiple chapters, categories, price points, sets of criteria, juries and numerous staff across Australia. I have been extremely impressed by the functionality and flexibility of the Award Force platform, not to mention the high level of customer service and willingness to provide solutions. My consultant has been very responsive and always willing to help with our program. I could not be happier with the level of service we have received to date, and am excited to launch our program via this new system over the next six months. During our pilot program I received only positive feedback from the entrants, judges and administrators using the platform. It is extremely easy to use, and looks professional to external viewers. I am relieved to have a lot of control over the configuration of the system for our needs, and it means that I can be the main support for the team working on delivering the program. The team at Award Force are extremely capable, responsive and willing to help. The user experience of the system is second-to-none. The system gives our awards program a professional look. I am excited to use the platform and cannot recommend Award Force highly enough. We do of course have a solution for running multiple separate prize programs, it involves multi-account subscription fees is all - but has some very handy multi-account functionality! Cons: There are no cons. I like everything. Nothing to complain about whatsoever. Overall: Using Award Force has worked wonders for me. It meets every single one of my needs with room to spare and its features have enabled me to innovate and develop our own internal processes positively. It is streamlined and easy to use yet incredibly comprehensive and sophisticated. It is fast and efficient and the days of having to work until midnight adding and processing entries are way behind me. The judging suite is a dream, too. We have been able to efficiently add layers of judging we did not have the luxury of in our previous systems nor the time to do so manually. Thoroughly recommended. A real joy to use. Very intuitive and the support is superb. I could go on but in a nut-shell, this is the best investment my company has made for my role and having used several other entries and judging management systems, this is by far the best. It is setting standards others should be wary of. From the front-end too, many of my regular entrants and judges have commented that it is a vast improvement on our previous entries software. 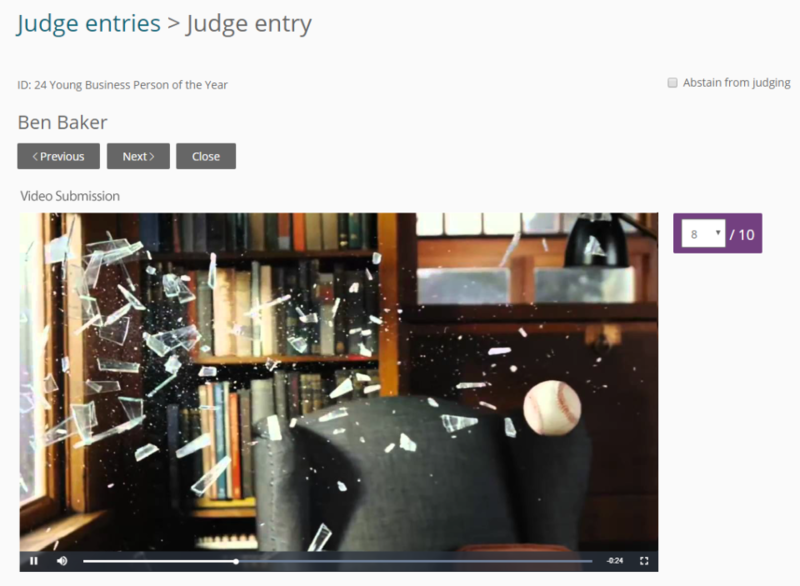 Award Force makes it easy to create online application forms and judge the submissions. Pros: The Award Force team provides basic training and awesome support that enables anyone to configure their product. The product is very flexible. We are able to create and manage application forms and judging for four separate grant funding streams, with different deadlines. It's accessible to applicants and judges anywhere, anytime, on any device. Cons: Our organization must comply with privacy laws for the protection of personal information. The storage of data on servers outside the country could be an issue. Thanks for your lovely review Elizabeth. For information... Data protection has always been a major focus for us¿ we are currently finalising compliance with the General Data Protection Regulation (GDPR), the most stringent requirements globally for data protection. Our practices mean you are already in very good stead in Canada¿ the work we are currently doing will put you in an even better place! Details will be sent to all clients in the near future. Award Force is easy to use and has helped me save so much time in gathering entries to our Awards! 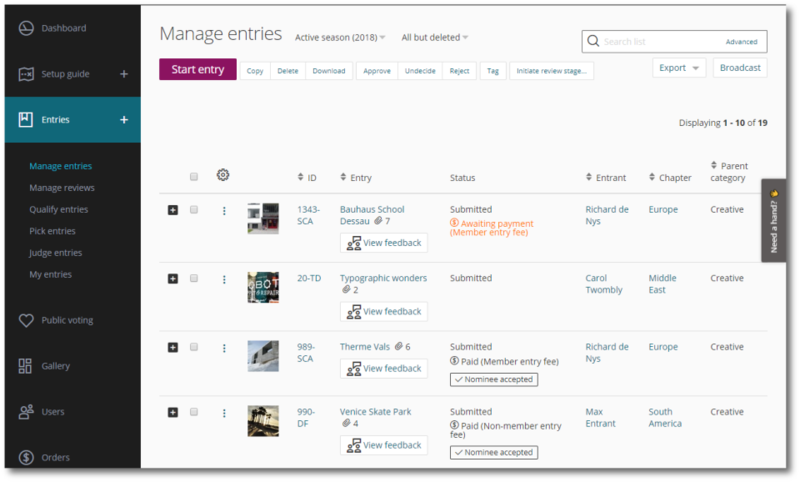 Pros: Its user friendly interface makes it very easy to set up a session and manage the entries to you awards. I like that the information from the previous years can be reused, making it even more easy to use years after years. The information displayed on the dashboard are really useful. You can keep track of how many entries you've got at the moment, how many have already been submitted and how many are still in progress. The graph displaying how many entries have been created over the last few days also helps us analyse our impact. For example we can see whether the last email we've sent to promote the awards has generated new entries. We send I also love the broadcasting feature, which makes it so easy to contact all the entrants at once. Bye bye mailmerge emails, hello simplicity! Cons: Setting up the criteria for each categories has been my least favorite part of the set up. It's still rather user friendly, and I'm not sure whether you could make this step easier, but I found it quite tideous. The data analysis features could be better too. For example we wanted to compare the amount of entries created/submitted in the 2016-17 session and the 2017-18 session but were unable to do so. Pros: Ease of use. Award Force has allowed us to run design competitions with up to 70 entrants relatively easily. Award Force took so much of the onerous sifting through entries and made it so much easier for us as the organizers of the competitions and for the judges to access and review the entries. It also helped when we ran design competitions with several rounds, i.e. Round One being the initial selection of acceptable entries being put into a coherent set of entries and then allowing the judges to easily go through them in order to populate Round Two. The whole experience has been very easy and that is extremely helpful to us as we don't have the time to develop our own system. Overall: Ease of use, professionally run design competitions and peace of mind. Using Award Force was a huge time saver for managing our program. 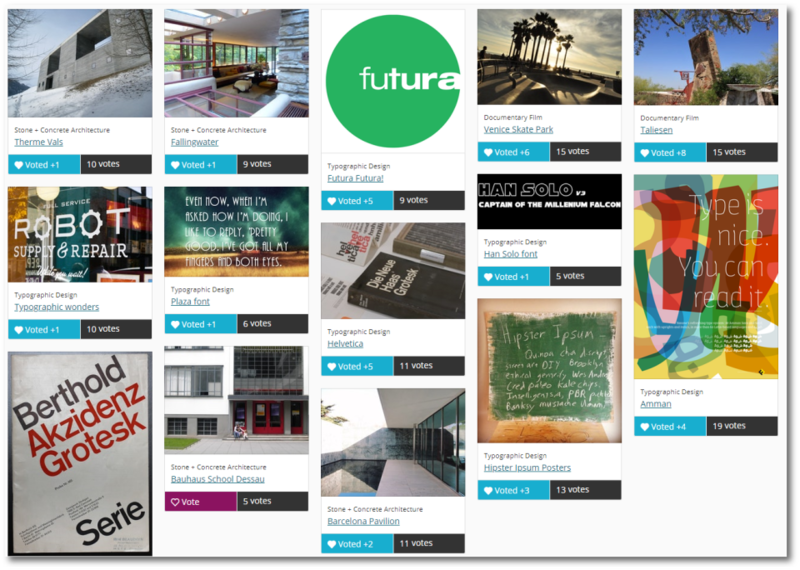 Pros: The ease of uploading projects to the site was a huge time saver. 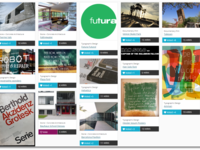 Allowing the jury to use the site to vote and rank projects to allow me to see the shortlisted projects was fantastic. The jury also enjoyed using the site and ease of the interface. Cons: I was overwhelmed when setting up our small program on the site. There were so many options and choices that I wasn't clear on how to get what we wanted. It was frustrating that I couldn't use phone support because we purchased the smaller package. I did use the tech support online but I didn't always have time to wait hours for a response. I struggled to figure out how to move entries to the shortlist round, and award the winners in multiple categories. We wanted to share the program in a public view with all of our staff so they could see the projects that were submitted, but I could not figure out how to do that. I was able to make all the winners public viewing, but not all projects. In the end, I gave up on a public view and was very frustrated. I followed the instructions in the help box, but still couldn't get the projects to show up. Being able to pick up the phone and have someone talk me through it would have been helpful. For the amount of money we paid I was annoyed that I couldn't share the site with our staff. Overall: It saved me and my team A LOT of time!! Thanks for the positive feedback Angela and we're happy to hear what a time saver Award Force has been for you. I'm sorry to hear of your frustrations - the volume of configuration options with Award Force *can* be overwhelming. Our support team is available 24/5 and will generally respond to support messages within 20-30 minutes, so don't hesitate to reach out for help! And *please*, feel free to pick up the phone if you need to, we want to make sure you have a great experience! Pros: I can honestly say it has been an excellent experience, particularly when configuring the system - very straight forward and intuitive. Our session requirements have meant that some of the judging specifications needed to be multi-level, thanks to our fully supportive and amazingly helpful Awards Producer, the judging rounds have been a breeze. One particular totally invaluable feature is having full access to archived sessions and submissions coupled with feeling confident that they are totally secure. Overall: Total confidence in securely stored past submissions and sessions. Straight forward and intuitive configuration. Amazingly supportive and genuinely helpful software support team. Right from the start we were able to configure the software to our session requirements, therefore reducing any potential negatives to a minimum. easy to manage, great customer service and very efficient software! Pros: I love who easy is to create and edit content. It has definitely helped us manage a very strong entry and judging process. I also like the fast customer service, it has saved my life on several occasions! I also love the improvements they work on having every time! Cons: There is no many negative this to say, if I have to pick one will be the fact of a minor change they mad on the creation on the panels and I was not aware of so I had to do it one more time because the previous way of doing it it was obsolete. But at the end, the final result was better! Overall: Easy to manage and great customer service! The customer support is wonderful. They are very prompt, and accept numerous inquiries. Pros: I like the fact that the layout of the content is organized and visually appealing. (concept tabs for example) Also, the dashboard, side panel with all the features, and checklists are helpful. Cons: The foreign DOB text box is not conducive to many of the US teams we work with. Also, I wish the videos were more directly accessible and embedded within the software so I was more likely to use it instead of constantly asking the team for support. Overall: The customer service was wonderful, and it spoke to salesforce well overall, despite the hiccups we experienced collectively. Perhaps you aren't aware that some months ago we introduced an option to set your preferred date format instead of the default international standard. Please reach out to our support team if you need a hand setting that. You might also just check with them about the videos - if I understand you correctly, you can reach all our support and training videos via the "Need a hand?" tab at the right of the management screens. Pros: Awards Force makes running awards so much easier. Our entrants and judges all report that it is a great tool to use. When we started using Awards Force entries surged 30%, and they have grown every year since. Our judges have found their workload reduced, and (most importantly) it has become so much easier to manage. What used to take two weeks is now down to days, and the level of control and information I can access as an organiser is transformational. It is not overstating it to say that Awards Force has changed my life. Overall: Saves a tremendous amount of time, encourages award entries, and makes volunteer udges lives easier. So there's not a lot to say here. It does what I need it to, and it's relatively easy to set up. And it works. Occasionally it'll be down for maintenance, but they always let you know when that's going to happen. If only it were free. Cons: - If you want a highly, highly complex setup, it does get complicated. However, the support team has your back and allows you to learn as you go. Eventually, you feel like an expert. Overall: AwardForce is an incredible platform that is relatively easy to use and can be extremely customizable once you get the hang of things. Where there is a learning curve, the incredible support team does not just solve the problem for you but teaches you along the way so that you can become independent and more confident with the platform. Some of the judges using this platform were C-Suite at fortune 500 companies and all commended us on the seamless process. We also worked with a lot of startups and emerging tech companies in the judging and applicant pool and they all had positive feedback about the UX and UI. No matter what size contest or applicant pool you are working with, AwardForce allows you to go above and beyond in terms of features and accommodation and communication with users. It gave our team confidence managing a process with high-level executive judges and users who are some of the biggest names in the tech industry. Pros: The support and the speed at which support is given is amazing. Cons: I hate that you can't search an entry by the user's name. Overall: Award Force is great. It is not only easy to manage, it is easy for the entrants to navigate and provides a logical and simplified platform for judging. Recommendations to other buyers: It becomes challenging when your user is registered with more than one Awards programs. Passwords and log ins become hard to manage. Thanks for all those stars Asher :) We're all a bit shocked we overlooked being able to search the manage entries view by entrant name! Thanks for pointing that out, and you will be able to do that very soon! As for managing passwords and logins - there are some security considerations there, that are not obvious - we would be happy to discuss with you. Overall: I enjoy using Award Force, and in general find the platform easy to use, and quite polished in the way it is presented. My users also support this opinion. I would also like to get a regular update on what you have planned in terms of feature updates. Especially as my site is up for renewal soon. I have also previously sent some feature suggestions to the support team, it would be nice to see some of these implemented. Thanks for the lovely review and feedback Den. As you know, we're regularly adding improvements and features¿ we do need to get better at communicating those though! Pros: The software is very simple which makes it easy to understand, easy to use and easy to manage, The system is very cost effective. Having used Raisers Edge I found changing over to AF so much easier and more intuitive to use. Pros: Processes are relatively easy as is replicating seasons. Pulling reports is an absolute joy compared to asking the database the right questions as you do in RE and any queries or challenges you may face are quickly fixed by the team of consultants. They're happy to show you, teach you or do it for you. I also really like the ability to choose what you can see. Overall: I can bring all my information together and export to Excel. I have the opportunity to learn as I go or with a consultants assistance and the software is very responsive to my particular award needs. Cons: The ability for entrants to add a '£0' when we ask for financial figures - we need proper figures so have to check each entry for this. Overall: Great! Fantastic support and support to 'tweak' the software to meet our needs by way of progression and updates. Thanks for the positive review, Julia! You can certainly have £0 in your entry fields. We'll get in touch with you today to help you resolve. I found Award Force a bit tricky to start with - but after constant use it made sense to me. Pros: I like the assistance tabs and the online help videos. I also would like to commend Customer support representative from Award Force on how informative and professional she is with her assistance e. Every time I have a question or need help, Lauren responds really quickly with advice and answers that are clear and easy to understand. I would also like to pass on comments from our assessment panel members who have told me how easy it was to use the portal and do the scoring online. They advise that they have assessed nominations via other portals - but this has been the most user friendly. Cons: I don't have any cons about this software that I can currently think of. As I mentioned above, I found the initial part of learning the system a bit tricky because I had no one in the office to handover and show me the ropes. That is why I appreciate the online help videos and being able to ask Customer support representative for help. Overall: Ease of use - no paper wasted having to manually send nominations to assessment panel. All the users have found it user-friendly. The perfect software for running custom awards! Pros: Award Force is extremely user friendly, while also providing a robust and feature filled platform. The system walks you through every step of what you need to run your custom award program. The layout is clean and organized, while simultaneously ensuring that the functionality of the platform is not dumbed down. You will find it is very sophisticated and able to be highly customized for your organization's needs. For our organization, we loved the ability to customize the site to use our brand's assets, without needing to bring in an outside designer or developer. Even better, the vast online guides and reference materials are awesome. They're a huge resource when you're onboarding Award Force for your organization. If you need any answers, they're just a minute away. Cons: I would like to see better sorting and better reporting. Our owner is a report fiend and sometimes we struggle with not being able to export exactly the reports we need for meetings and check ups. Overall not a huge problem, but something we would like to see addressed in the future. Overall: Our old system for managing online entries and giveaways was clunky and timeconsuming. We knew it was a weak area for our marketing efforts but were unsure of the right way to implement a solution. One of our teammembers found Award Force and we implemented it almost immediately. It's streamlined our efforts so much and allowed us to run giveaways much more efficiently! Pros: Awardforce lets us run an internal program that lets all our offices globally submit work for judging. This happens every 2-3 months and we can then publish the work into galleries for all to see (separated into the top scorers and all other work). Being able to lock down registration to specific domains means that we can keep it strictly within our company, but allows us the versatility to add external people if and when necessary. The process is relatively simple (once you've gained an understanding of how the system works) and I have always found that help is readily available when needed, with the team being quick to respond, and offering solutions to any problems we encounter or requests that we have. Cons: It isn't particularly intuitive, and if not used on a regular basis it can be easy to get a little lost when trying find specific functionality. That said, we do use the platform ina different way than most other companies so it is partly because of that. Overall: We previosuly used Openwater and fine Awardforce much easier to use and competitively priced. Pros: It's reduced our manual data entry process and made it easier for judges to review from anywhere at any time. Cons: Creating the tabs and each individual criteria field - for our particular awards program, this was very lengthy!! The only thing I'd like to change is how you can communicate with people (nominees and judges) through the program. I don't want to send information to every nominee or judge, just a select few. We also have face-to-face meetings for our judges and we tried to use Award Force to re-score during these meetings, while it was possible it wasn't an ideal means of judging. It would be better if the manager could take over one main scoreboard and add judges scores on their behalf as they call them out (rather than each judge scoring each nomination again and again and waiting for the updated score). So easy to use and functionality is wonderful, plus the support team are amazing. Pros: The ease of use. At first there appears to be a lot to input and learn but the support you get, including hands on webinars and individual training makes it simple. The support team are very responsive. And the degree of functionality is great. We had a paper based system previously which was an absolute nightmare - printing, distributing, collating, reprinting for judges...and so on. Now it's a simple process and judging is online, so it can be done at any time anywhere. Cons: The is really nothing that I don't like about this software. Some of the things, such as setting up your theme take a bit of work, but a little reading and experimenting overcomes this. Overall: The range of features. Simplicity to set up and for the users encourages more entrants into our annual awards. The ease of use for the judges means they can use the system wherever they are and what ever time it is - no more bulky paper packs to be sent out. Great platform, easy to use, amazing support! Pros: It works well and is visually appealing. Cons: I wish there was a way to close a round for entries but have a secret way to allow ppl to still edit their entry. Overall: Everyone i have worked with at Award Force has been a delight! We had been using the same system for a long time and made the much needed change to Award Force, we are going into year two with the platform because it was so great! 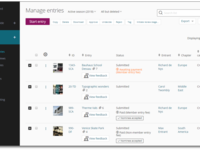 We've released a 'resubmission' feature recently which might work for you. We'll be in touch today to tell you about it. Fantastic Product and our client loves it! Pros: When selecting AwardForce, we ran a full search looking at many different platforms. Only Awardforce offered us the flexibility and control over our own competition. The Team are fantastic, the costs are completely transparent and it's brilliantly secure. There's also new features being delivered regularly. My client absolutely loves it and it's completely revolutionised the whole competition process. Cons: It would be nice to have more control over the Judging views in terms of layout. At the moment this is fixed. Overall: It's completely changed the competition from paper based to 100% online, saving on cost but also attracting more users! It was great joy to coordinate the BIGGIES Awards using AwardForce. Pros: The software provided everything you need as an Awards Coordinator, in a clean designed view: Setting up the rules and categories for your Awards, the customised design, payments, the judging, a nice dashboard to have real-time impressions and the different possibilities to collect data. It´s a very sophisticated system; I would recommend it to whoever is working with awards and competitions. Cons: Some tools were very easy to handle, but at first I could not understand them. Thanks to the support of AwardForce team, that was not a real issue, as they immediately came back with a solution. Pros: The customer service was excellent. They were always helpful in nutting out solutions for our complicated review flows and finding work-arounds if necessary. Pros: The greatest pro is community and people working to keep the software up-to-date and answer questions you have around the product. It's hard to know everything about a new software, so having a great support team is crucial. Cons: I don't feel like I missed anything when buying the software. Perhaps some features are missing, but that can be easily fixed by upgrading your subscription. Overall: I have realised that the award force platform can be used for many other use-cases, besides handling awards. In one of my projects we used the platform for handling, reviewing and moderating grants for students at a university. Pros: Easy of use, personally maintained but with back up when required. Ability to check progress, email from within via broadcasts to entrants, financial capability to accept payment and send invoices saves time. Once we had worked the platform once we definitely got the hang of it quick as did our entrants and judges. Cons: In the criteria area when info is written, the system automatically defaults to spell check with pink boxes and often not necessary. this can be off putting to entrants and we have received a number of queries on this as to how to not have it showing but the system cannot change this. A great system - clean and easy for entrants to use. Highly recommended. 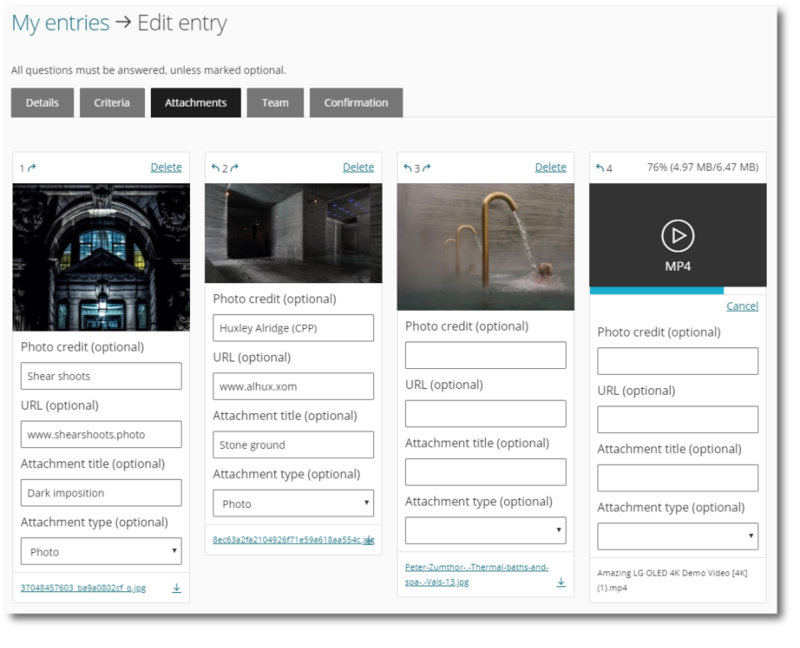 Pros: Entrants can easily upload and view their entries and edit when needed. Flexible and adaptive forms to collect data/uploads and the forms are very clear and easy to add a lot of descriptive text to help inform entrants. Very easy to monitor entries and payments etc. Managers can easily access entries and make amendments when needed on behalf of entrants. The support is amazing - help is always on hand when there are any questions or issues you need help with. Cons: The software is not overly intuitive when initially setting up, but the high-level of support provided helps with this. Can't be modified/developed for specific needs (unless requested by multiple users - due to nature of the system). However, they do help you with workarounds and develop new features when they can. Overall: The ability to judge online which our previous system didn't. Much easier to use than previous systems. This is my second year using Award Force and the experience just gets better and better. Pros: The software itself is easy to use and easy to navigate. Due to its clean look and feel you cant really get lost. To change or update anything it is all clearly labelled and where as you may forget what order to do it in the customer service is first rate and their knowledge and helpfulness is second to none. Cons: I don't think there is anything not to like. I use other software programmes for HR and payroll and tI wish they were as easy to use as Award Force. Overall: From an administrator perspective it is easy to use and nice and clear. For those externally who use it again their user experience is always positive. Pretty seamless and uneventful so far which is great! 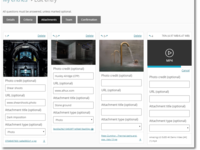 Pros: The ability to customize where needed, the availability of options and the design, look and feel of the site is a lot more modern from the front end user perspective than others we have used. Cons: Would love if there was the option to edit application within the site to make them anonymous. Our users enter information within their applications that sometimes require us to have to manually block out information - for example, school transcripts with photos and address information. It is more of a function of our application requirements but for us it has been something that is never easy to do. Overall: Complete digital submission of our applications, eliminating paperwork and manual copying and mailing of documents. Committee members are able to evaluate apps from their computers and ipads. I've been pleased with the overall functionality, user friendliness, and customer support. Pros: Customer support: Carl has been such a great trainer and support--going above and beyond to help us understand and make changes to our events. He helped copy fields and change order numbers on our screenshare call to make our event better. Megan has been super helpful too--responding promptly. It is easy to use! Everything is pretty straight forward--if it's labeled something it has that functionality. It looks nice to viewers. Clean and nice layout. Its dynamic--there is a wide range of functionality--to create conditional fields, to hide fields from judges, types of attachments, types of judging, ect. Cons: There are some hidden tricks you'd only know about if you were screensharing with an award force rep--for example the ## make the heading size different. Overall: A system for collecting data and materials from applicants for our awards. Pros: It intuitive after a while it become second nature and its fun watching it all come together. I am not at all techy but I had no issues with the software and it looks very straightforward for our applicants. Cons: At the moment I don't have any complaints. We don't have a graphic designing so scaling the logos to the correct size took a little bit of time but nothing major. I have not yet configured the judging component so I just hope that is as straight foreword as setting up the applications. I think it was quite expensive too. Many from the point of view that I work in a department where there are multiple program and to pay this much for every program would not be possible, which is a shame as all the programs would benefit from it. Overall: Its still too early to tell, as I have not yet finished the programs cycle. Very customer focused. It is always a pleasure to liaise with the client success team. Pros: The adaptability to customer's needs. Since we started using this programme back in April, we flagged some changes that we wanted to implement to make it easier for our entrants and judges and most of them where already implemented by the Award Force team. Cons: There are still some features/functions that need to be changed and some missing to make it a seamless experience for the administrators, entrants and judges alike. Overall: Its been a great experience using Awards Force. The system is very user friendly and the team is only a email or call away should you need assistance. I have been using Awards force for a few years now and can highly recommend! Pros: The features can be adapted for your specific needs - e.g. we used it to get responses from off-site 'home-testers'. It is intuitive and easy to use. It is easily customisable to match the theme of your awards program - everything from the banner on emails sent from the site to the colour of buttons when you hover over them can be changed by the user, which is great. Cons: Sometimes when you click save, or close, or back on your browser it doesn't take you back to where you are expecting. The support staff are very helpful and normally very quick to respond, but it can be a bit disconcerting that some of them are based in Canada. Overall: It saves us time and reduces the risk of human error from using excel spreadsheets as we used to. Pros: - It makes my work so easier and allows me to save lots of time. The customer support team is always available and happy to help, the training was very clear. - It allows my competition to have a very professional image and adds value to it. Both startups and judges are amazed by the quality of the tool and the smooth, user friendly process. I also appreciate the fact that there are already instructions in the tool to explain users how to use it. Cons: The only thing I think is that it requires a training and in case the person responsible in your team has to leave (or if you have 6-months interns which is our case), you have to train the person each time. Overall: Gain of time and professional image. Pros: We use Award Force for all our applications and surveys and it works just as well if we get 20 responses or 500! Creating surveys is relatively straight-forward and very logical and its great to use a software program that makes sense. Cons: I am sure I don't use all the features to their maximum potential - but what I use is great. Overall: With Award Force, the overall experience is a positive one. We can deal with applicants, scholars and judges so simply and with the same tool. We are a growing organisation and have chosen Award Force as we know it will grow with us. Highly effective global management awards system. Pros: Easy to navigate, inclusion of sponsor logos, graphics, broadcast email function a good tool, content blocks easy to populate- taking us to the next level as Award Force continue to invest in delivering sophisticated functionality. Cons: Having to sequentially number the tabs and fields as you have to re-do them if you miss too many when populating. Overall: Many including easy of judging, managing nominations via dashboard - pie chart is very beneficial to keep track of nominations, exportation of information to excel and from a sustainable perspective saving costs on printing of nominations for judges consideration. AwardsForce is an outstanding platform, and is perfect for the different awards programs we run. Pros: AwardsForce is very user-friendly. From setup to judging, each step is intuitive and laid out in a smart way. I love that we're even able to do a sanity check, just to verify we didn't miss a step. Throughout the whole process, the AwardsForce team is quick to help with any questions we might have. Overall great platform! Cons: I wish it was easier to preview what your attendees see on the back end, but there is a step where you can do "test entries" which definitely helps. Great! After using another similar software prior to this, all I can say is this is so much better. Pros: User friendly and easy to export relevant information when need to go back to the site from the accounting point of view. Cons: The Slush code - The payment ID should be the Invoice number for easy reconciliation especially if payment is being made by invoicing, sometimes weeks after depending on the publisher's payment cycle. Award Force is a great tool to use! Pros: Award Force did everything it was supposed to do. And when things went a bit curly from our end and we needed to change tactic - the award force team were on hand to support us with what we needed to do. Very efficient program and easy to use. Cons: Some of the set up was a little repetitive but easy enough to do when you know how.